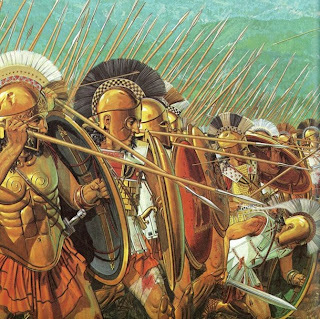 During the second Persian invasion to the Greeks, general Leonidas, king of Sparta, went up to the Delphi oracle to inquire about the possibility of the Spartan army, of 300 men only, to face alone 5000 Persians in the Thermopiles valley. - "Go, you will win. You won't die there.” And general Leonidas, then, went to war and died together with his 300 men. This narrative , considered by many as disrespect to the oracle of Apollo, has many valuable elements, to clarify the most different mistakes of the divinatory art. Leonidas's principal mistake was to transfer the responsibility of his destiny to the oracle, contradicting, therefore, the famous saying of Delphi: "know thyself.” Unfortunately, the majority of people that visit mediums and palm readers have the same attitude as the Spartan general, because, instead of a very sincere effort to know them better and make their own decisions, they want to know beforehand what is going to happen. "I am lazy because I am a Libra" or "I am sick dire to bad spirits", these are some typical examples of how irresponsibility and fatalism want to see conscience determined by unconscient factors - be it through stars, spirits of the dead or other archetypes of the collective unconscience, like the Orishas or the major arcanes of the tarot. The truth is, therefore, that there is no fatal destiny, or predetermined characteristics. It is not "destiny" that determines conscience, but the moral and psychological development that frees "man" from his destiny: the more the human being is conscious of himself, to less influences he will have submitted to those who perceived the action of these influences of the unconscious over themselves can alter their way of life through freedom. They become their own rulers. To make their most important decisions, the ancient Chinese consulted three cracks in turtles' shells, ritually exposed to an incandescent iron; the Etruscans obeyed gods through the studies of lightning’s; the Caldeus saw the universe in the guts of dead animals. All the techniques and primitive methods of the reading of the unconscious are always connected to two fundamental ideas: the idea of the universal correspondence, according to which we can see the whole through its fragmented image, and the idea that breaks time's linearity, of the transcendence of continuous duration between past, present and future - generally provoked by trance or by the changing in the conceit state of the foreteller. The guessing games are an association and correspondences to which men achieve through experience and synchronicity -- the perception of absolute simultaneity of all events. In the long run, the codification of the deciphered signals in trance structured what we call the symbolic languages of the unconscious. It is known that in ancient times, the Paleolithic nomad hunted during the fool moon and, in his cave, in the new moon, dedicated part of the hunt to the "Lord of the beasts,” as a form of thanks for the success of a new opportunity. For those who study religion (1) , the drawn images in the caves had a mnemonic character, that is, they were objects used in the cut and invocations during the bloody rituals of the new moon. They were a magic way through which archaic man symbolized his wishes. On a certain day, therefore, the nomad hunter wished to "hunt" for a woman or defeat an enemy: and ended up building a pantheon to manipulate the forces of his cosmological universe. For example: to conquer a female, he should sacrifice determined animals, vegetables and objects with common characteristics as to the goddess of water like Aphrodite or Oxum. If the wish was to defeat his enemies, he should invoke one of the fire warriors like Ares or Ogum, or even the protector Demon of his tribe. This primitive pantheon that incarnated different aspects of nature mixed with the cut to the ancestors not only was it the first religious manifestation that we know of but is also the most ancient register of human culture. The word "divination" itself literally means "talk to the gods" and because of this, the activity started to be exclusively performed by members of the sacerdotal class of by its different shamans and mystic variations. In this new context, the symbolic languages became more cabalistic and less magic. It was a casa of foreseeing the happenings and not controlling them; of knowing beforehand the destiny of the future and not satisfying oneself with the immediate necessities. This way, the divinatory art included knowledge in medicine, meteorology, public administration and military strategy -- besides the psychological knowledge necessary for the trance the cognitive elements that used to structure the language of religious dogmas. The "gods" were no more simple personifications of natural forces, but also represented simultaneously places, vocations, archetypical dramas that founded customs and traditions. However, they are still very far from the representation of the modern "psychological types" - as happens today with the astrological signals and the Orishas. In fact, in ancient limes there was not what we call the "individual divination,” even the oracles of the kings didn't refer to them as people but as institutions. In the primitive divinatory arts what mattered were the interpretation of the natural forces and not the individual destiny of the consultants. Many authors associate the appearing of the first alphabets to this "solar rationalization" of the archaic symbols of primitive divination, or at least, that many ideographic writings previous to the domain of the Indo-European idioms (of graphic phonetic codification) were deeply influenced by divinatory techniques, such as the Chinese one, the Sanskrit, the ancient Hebrew, the runic alphabets arid Egyptian hieroglyphics. Jean Nougayrol (2), for example, studied the evolution of the signs of the Mesopotamia auruspicia in the Assyria and Babylonia cultures. The technical vocabulary of this modality of guessing, in a first period, counted with about 6000 signs of the functional type, being comparable to our cerebral toponymy. There was a direct relation between each symbol and the object or the represented concrete action. As time went by, according to Nougayrol, the signs that directly represented the mnemonic ideas of the primitive universe were, gradually grouped and reduced, in the sense of representing the astrological pantheon, starting to associate sounds, phonemes and elements of mythology. It is important to emphasize that this "rationalization" of the mnemonic signs followed the evolution of the Caldeus religious dogmas, the first ones to present a complete astrological solar pantheon. Formed by a cosmic trinidad, seven planetary divinities and 12 zodiacal entities. The fact that some alphabets, like the Hebrew one, have 22 letters (3+7+12) took the majority of modern occultist to sustain that the images of the tarot cards would derive from a universal language, or of the signs of the ideographical writing. Only through the actual study of the "universals of substance" can we one day determine if the graphic-phonetic representation inspired itself or not in the mythological order of antiquity. For now, therefore, the idea of a modern language is nothing but a myth: the myth of the Babel tower that was inherited by the Christian-Jewish culture of the Zoroaster’s religion, together with the ideas of hell, purgatory, celestial heaven and of the last days of judgment. And this archetypical inheritance formed the basis for the collective unconscience of the western culture. While from traditional societies, without individual and uniform objectivity, the Divinatory Arts represented the hermeneutical synthesis of human knowledge; nowadays, they were abated by scientific thoughts to vulgar mixture of hypnotically suggestion with "sub-psychoanalysis", the various "mancy" card reading, geomancy, chiromancy etc. Past and future only exist in the present, as memory and extravagance. Time is the fourth dimension of one physical space. The guessing games tried to discover past causes and future possibilities condition the present, how this data is organized in the unconscious. When we play the tarot cards, for example, they show the soul of the consultant, his/her interior life, so he/she can know how his/her past and future are organized inside him/herself (3). "What is your profile of happiness?" This is the question that the oracle silently asks to each unconscience. An experienced card reader doesn't reinforce, nor frustrates the wishes of those who seek the oracle; he only makes sure that these people be aware of how their wishes are structured in the present. During the process of divination, the consultant projects his chemical contents inside a determined configuration that represents his /her existential situation. Whoever knows the situation in which he/she finds him/herself, immediately recognizes his/her representation projected in the oracle. However, the majority of people present only a partial understanding of his/her condition. It is then, for the card reader to "work with the resistances,” that is, discuss the symbols that the consultant doesn't identity in the game and in his/her life. For this process to run without manipulations, giving priority to the development of the conscience, each symbol must correspond to an aspect of the consultant, it must express an element of his/her interior life. All these guessing games consist, in this psychic identity of his interior life, with images and symbolic concepts. This identity is spontaneous and involuntary, but can and should be consciously proposed before the beginning of the process of divination because the bigger the level if intimacy of the consultant with the symbolic language that he/she uses, the bigger his/her capacity of understanding the oracle's answer by him/herself will be and smaller will be the possibility of induction by the card reader. However, the reading of the unconscious cannot be limited to the constatation of the existential situation of the consultant or of a reponctuation of his/her occult wishes as some psychoanalysts and the pythoness of the story want it to be, but yes it must allow a psychological reorganization of all the discursive elements presented, it must promote a transformation in the emphasized situation. And this was the Spartan general third mistake: after delegating responsibility of his decisions to the oracle and a-critically identifying himself with his most secret wishes, reflected like in a magic mirror, Leonidas didn't worry about discussing alternatives. He unconsciously gave himself up to his fatal destiny. We are used to thinking principally in the spiritualist ways, that "there is no coincidence in this life" and that "everything has an occult cause.” The law of the karma itself as it is understood by kardecism - as a "law of cause and effect, action and reaction" - also collaborates to the formation of a determinist attitude pretensely scientific. Therefore, in its original context, the so propagated law that harmonizes the human disequilibrium in its innumerable factors and conditions isn't determinist nor worries itself with the casually, lead we invariably do. There is an ancient Indian legend that compares man before his destiny with the archer that has only three arrows: the first has already been shot and represents the past; the second is in the bow, ready to be shot and corresponds to the present; and the last one that is still kept away symbolizes the future. If man decides to shoot the arrow of the present in the same direction of the one of the past, he will live under the submission of repetition (or karma), and will be a prisoner of his destiny. But if man uses his present and his future to get over his past, then he will live creatively all the cycles (or dharma) and will be the owner of his destiny (4). The future is one of the possibilities of development of the present. And the conscious option for an existential possibility already means a transformation of the conditions of destiny, because they alter the immediate situation. Therefore, the divination games, besides making possible "sell-diagnosis,” can also reprogram the unconscious, helping the consultant to modify the situation in which he finds himself. The divination isn't only the act of deciphering problems, but also, above all, the art of discovering alternatives: helping to choose a better future among the diverse possibilities - that's what should be the legitimate role of the oracles! To guarantee this intention, we should always divide the divinatory process in two distinct parts, thus allowing dynamic self-awareness, a symbolic reflection about life. c) Present - contradiction that blocks the development, actual existential situation. Reorganization of the conditioning elements of the previous situation in a new present. Critical choice of one of the possible alternatives of destiny. Restoring of objectives that are a priority of life and the strategy to realize them. 3) We should always be open to new alternatives. In reality, the objective of the appointment should be the searching of alternatives in destiny. However doesn't look for a personal changes and self transformation shouldn't seek oracular processes, because, to start with he gives himself as a victim of the forces of the unconscious. That's why an analysis of possibilities is necessary. Imagine an innocent birthday party, where people in a circle sing and clap hands, around the candle that will be blown out by the central character of the celebration, at the moment when everybody shouts and he will make a wish. We are before a magic ritual. If the person wishes for a better life, we can say that it was a white magic ritual. If, on the other hand, the birthday person wishes something for his ego and is materialist, like a vengeance, we will be before a black magic ritual. This subtle difference also has to be emphasized by the manipulators of oracles, because before an adverse destiny, the majority of people tend to insist on their objectives and wishes. The use of candles, baths, floral arrangements, diets or rituals can be a powerful reinforcement for the modification of the pathological archetypical complexes, generally oppositions and astrological quarters. Many modern physicians use the bio-dance, the psycho-drama and the creative imagination associated to the divinatory symbols. But when these mnemonic techniques of reinforcement of the archetypes go beyond the unconscious individual, therapy becomes witchery, principally if an absent third person is singled out. In the same way that the sacrifice of various bulls to Ares, the god of war, didn't guarantee the victory of Leonidas; with difficulty can the manipulation of archetypical energies through rituals alter destiny. In reality, the Spartan general with sacrifice did nothing but feed his own bellicosity. It is the phenomenon of reversal, or the return to psychic projections, according to which the witchery always turn on the witch. In something which is of vital importance in which you always emphasize the therapeutic and pedagogic character of adversity, because the lesson to be understood firstly to be overcome once and for all. The truth is that the conscience is the only key to karmic reversibility. And you can only get to consciousness and to objective understanding of reality through the subjective understanding of yourself. There is no other way: only discovering the meaning of your ghosts, the man recognizes himself in the sunlight. (*) Originally told by Herodoto, we adopted the story from a version recreated by Monteiro Lobato, in the "Emily's Grammar”. (1) ELIADE, M. - História das Crenças e Idéias Religiosas (The History of Beliefs and Religious Ideas). Volume 1, first book, Zahar Editors. (2) ALLEAU, R. A Ciencia dos Símbolos (The Science of the Symbols). Coleções Esfinge. Edições 70 - Portugal. (3) Through some simple procedures of hypnotical suggestion, any card reader can induce the consultant to choose some ways of his/her immediate present, working his/her social perspectives and his/her expectations of development. By the hypnotical reinforcement of wishes and projections of the consultant, the card reader can even tell facts that will really happen. But this won't be a prediction, but yes, a psychic manipulation, in which some possibilities of existential development are reinforced in the name of others. The great majority of people participate in the divination only for a reinforcement for his/her wishes of social ascension and./or affective realization: some want money, fame; others want to travel or simply get married and have children. (4) Even the most ortodox religious traditions, like Islamism affirm the liberty of the development of the conscience facing destiny; "he who performs a good action will receive tenfold in return its equivalent, and he who performs a bad action, will receive only its equivalent and nobody will be prejudiced" - the magnanimous sentence of the Koran (6:160) about the karmic reversibility of destiny. And still in another part (13:11): "God doesn't change the destiny of a people until the people change what they have in their souls".